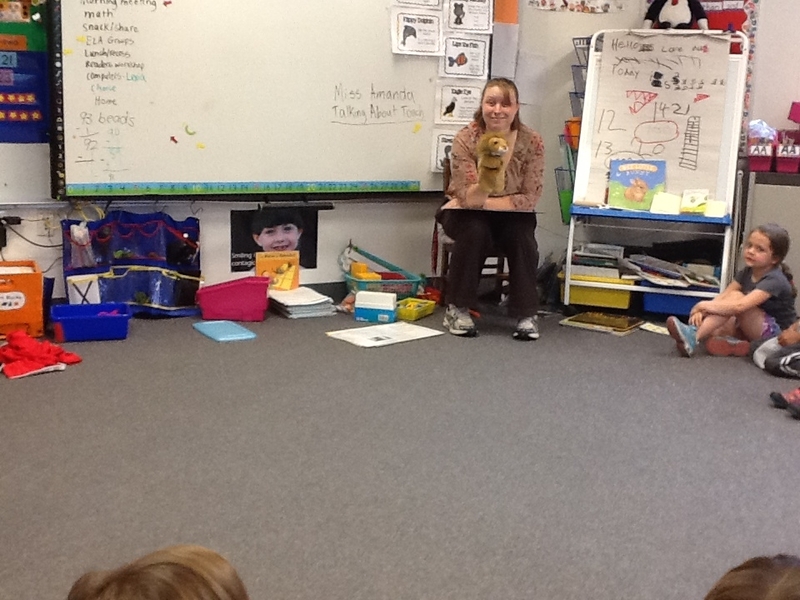 On Thursday, June 12, 2014, Rebecca Bialecki, and her team of presenters, taught lessons from the Talking About Touch curriculum, published by the Committee for Children in Seattle, WA., to Kindergarten, 1st, 2nd, and 3rd Grade classes at Royalston Community School. Mrs. Schwab, Guidance Counselor visited the Kindergarten and 1st Grade classes during the lessons. 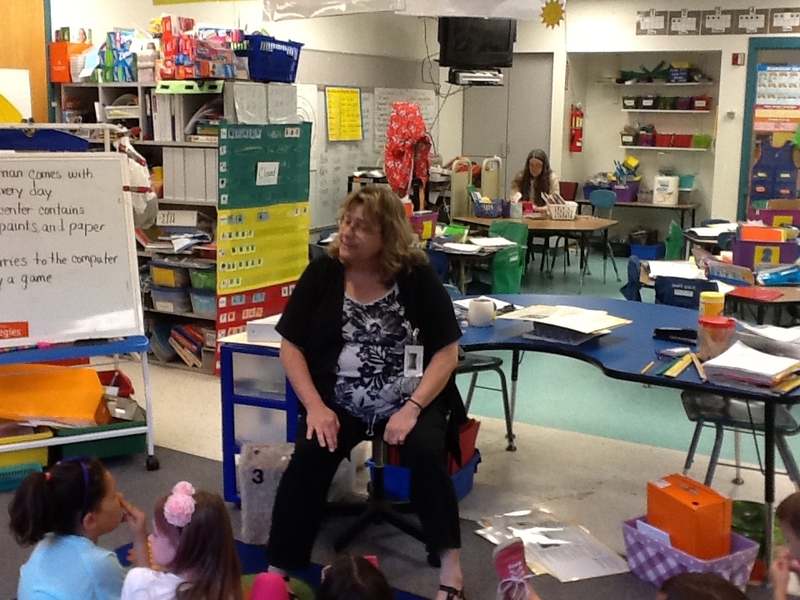 Principal Leander visited the 2nd and 3rd grade classes during the lessons. Stranger safety: if a stranger or anyone offers you something like food, or a toy, or offers you a ride, or to go inside their house, always ask your parent or guardian first. Safe Touch is something that makes us feel good, important and safe, and it is appropriate, like getting a hug from your parent. 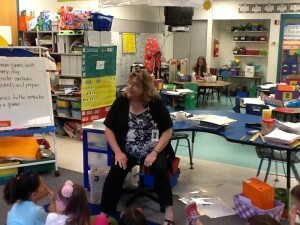 Frances Graziano, a Talking About Touch presenter, teaches a lesson to 1st Grade students at Royalston Community School.